Chia seeds are everywhere these days, which is fantastic news for our health! They're a natural source of Omega-3 Fatty Acids which have amazing health benefits like improving arthritis symptoms, helping with depression, and aiding in the development of childrens' brain development. They're also full of vegan protein, amino acids, fiber, calcium and plenty of other great vitamins. Fun fact, Chia is actually a plant in the mint family! The nutty little seeds have been part of Aztec and Native American diets for centuries, and are now becoming easier to find in supermarkets. They're so good sprinkled onto yogurt or cereal in the morning, mixed in with salads, or even blended in smoothies. 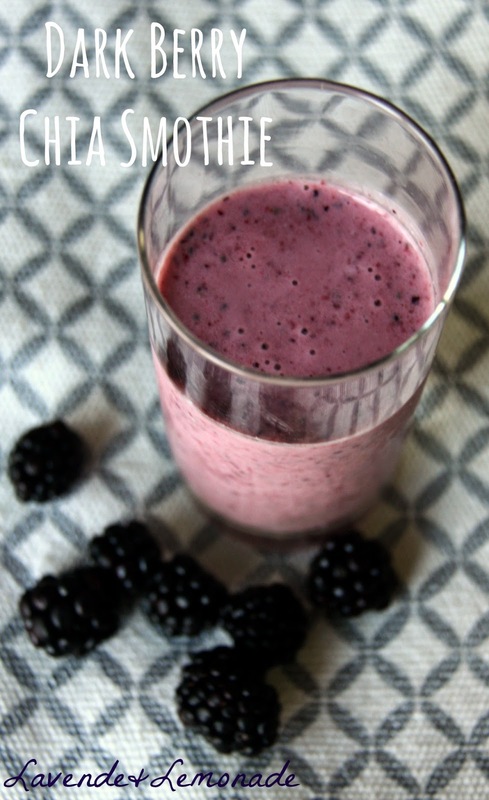 From A Good Food Day by Marco Canora I've made a fun, zingy chia seed smoothie, from page 27, called Dark Berry Shake. In the summer, I use fresh berries from the green market, but the rest of the time I use frozen organic berries. 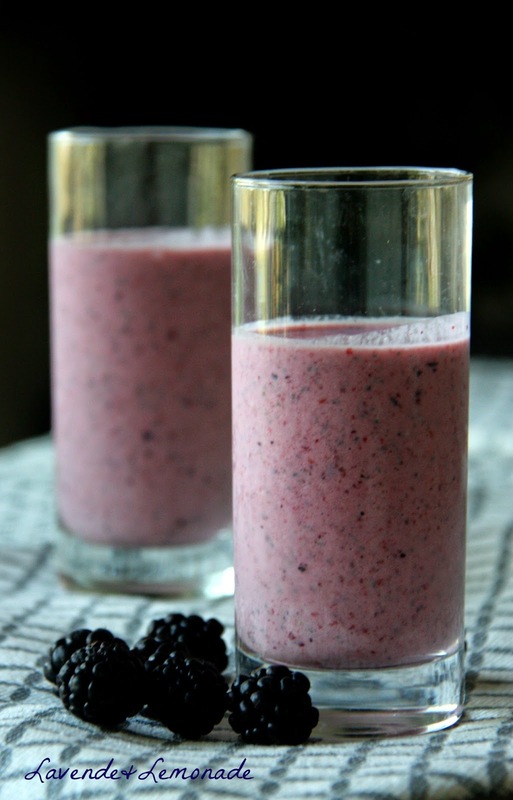 I love how the frozen berries make the shake extra frothy. Ground ginger is one of my go-to breakfast spices, along with cinnamon. The ginger works especially well in fruit shakes where it's a nice, subtle kick alongside the fruit's natural sugars. Berries have the highest antioxidant levels of any other commonly available fruit. Antioxidants are disease-fighting powerhouses that protect the body against the effects of aging and may help prevent heart disease and cause certain types of cancer. Berries are also high in fiber and vitamins C and E. When these gems aren't in season, hit the freezer section - frozen berries have the same nutritional jackpot as fresh. Add everything to a blender and buzz until smooth, about 1 minute. This recipe gives a zingy smoothie that is an antioxidant blast to start the day, or a refreshing afternoon snack. And really, it made 2! I admit that I prefer my simple berry & banana smoothie as a go-to flavor, but this is a fun change-up to the routine. The ginger is indeed a great zing, and although I like the idea of balancing it with coconut flavors I found the coconut oil to be heavy on the tongue and not particularly enjoyable. Next time I'll be swapping the ground ginger for fresh, replacing the coconut oil with a pinch of shredded coconut, and doubling the chia seeds! 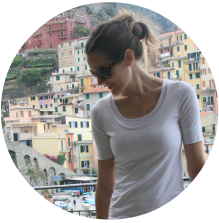 I'd love to hear your favorite smoothie recipes, too! What's your go-to smoothie blend? Thanks to Nutrigold for sponsoring today's discussion!